Enable the Connect feature. This feature adds intelligence to our Control Center. Managed websites will be interconnected sharing information to be more secure. Period to launch the task to collect all IPs and add them to all managed websites. This plugin is launched every time set into the "schedule" field, collecting info about IPs added to blacklist, dynamic blacklist and whitelist. 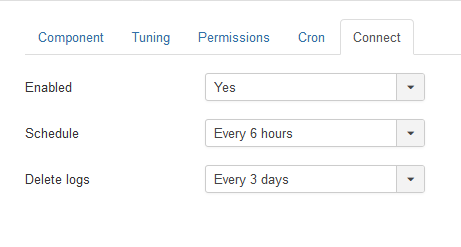 All the IP info in one website will be automatically added to all the other managed websites.